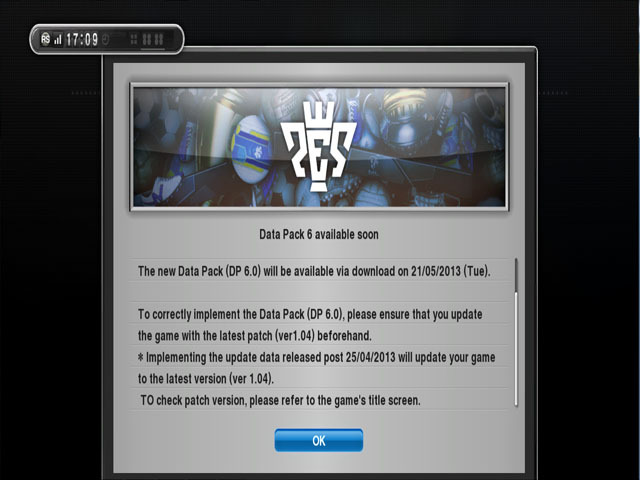 The new Data pack (DP 6.0) will be available via download on 21/05/2013 (TUESDAY). To correctly implement the Data Pack (DP 6.0), please ensure that you update the game with latest patch (ver 1.04) beforehand. *Implementing the updates data released post 25/04/2013 will update your game to latest version (ver1.04). To check patch version, please refer to game's title screen.